Sold - Maarten Kamphuis helpt u aan het passende paard! 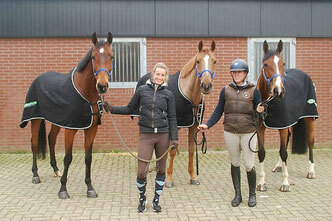 Through the years Maarten Kamphuis may sold magnificent horses who are successful with their new owners. 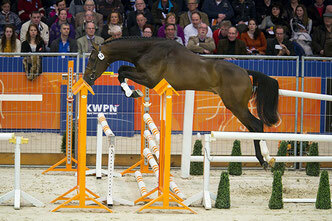 Below a small impression of show jumping horses he has sold. Click here for our available horses or call Maarten Kamphuis for the latest additions : 0031 629 487 815. 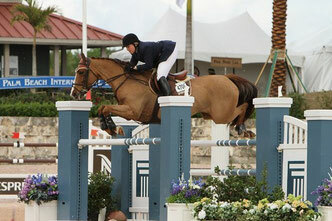 Funnycan (Zavall x Monaco), one of the most winning youngsters in Great-Britain with Laura Mantel. Sassicaia (Kojak x Boreas), winner of Grand Prix's of Arezzo, Manerbio and Wellington with Katie Prudent. Grand-Prix (Arthos R x Ferro). Invited for KWPN performance stallion test and AES licensed. Sold to Azerbeidzjan. In February 2017 sold to Euro Horse Stables (Axel Verlooy): Happy (Falaise de Muze), Hartog-Jan (California Z) en Gentle (Zirocco Blue VDL).